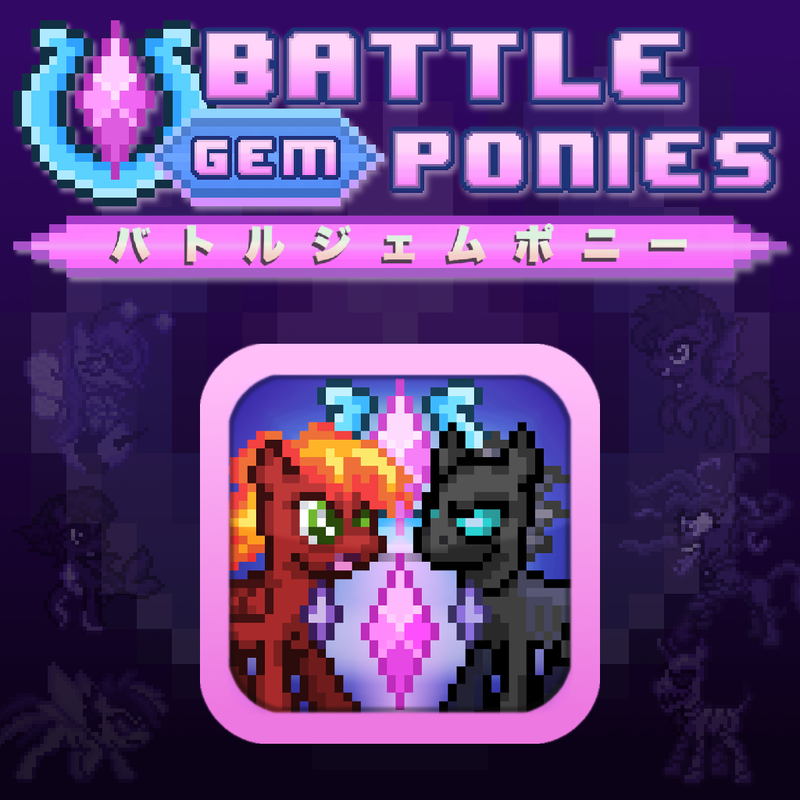 Another month comes and goes with Battle Gem Ponies still working towards an alpha build. Time to kick things into high gear! This Halloween, the spookiest thing I can think of is the prospect of BGP still not being in Alpha by Christmas. Now that'd be a nightmare! 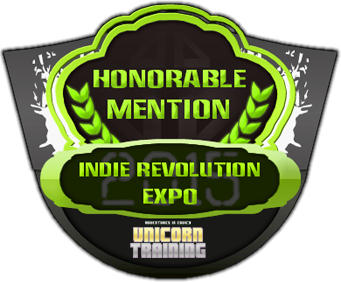 Get a sugary sweet pile of details on this week's gamedev progress below the break. An example of my constant indecision. 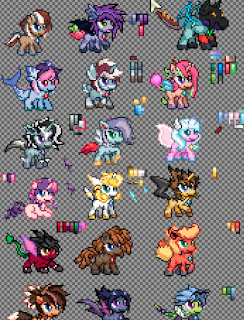 I just keep changing my mind on which pony colors to go with! 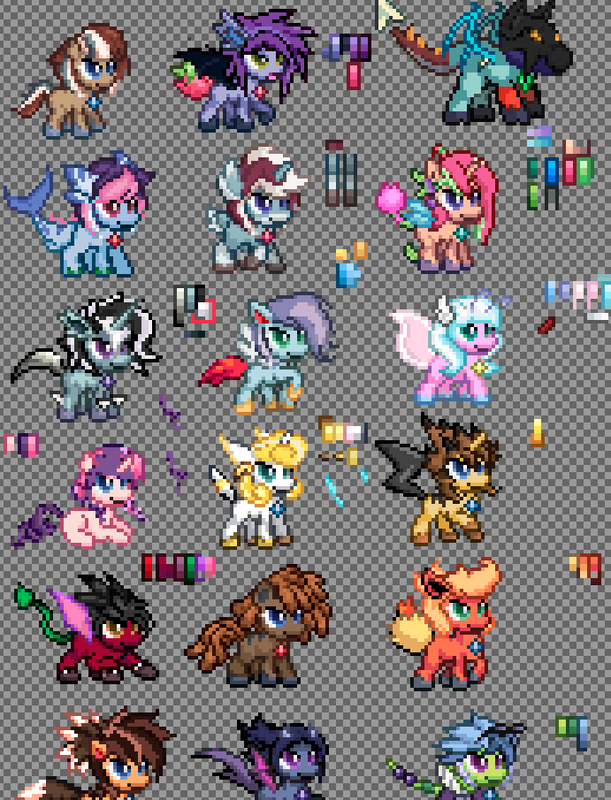 Here's a bunch of WIP pony designs. then tweak some unique features onto them. I'd consider this snapshot selection 60% done. I think I can say my game is paced better than Diamond and Pearl. At least, according to this video anyway. Which is good because it reminds me that even the official Pokemon games aren't always perfect. 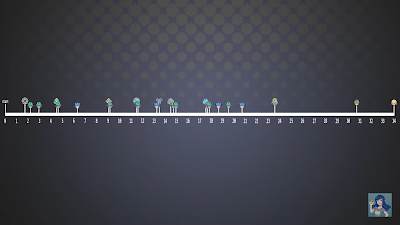 used to explain why some people say the pacing is so bad. Learning from this will help me avoid the same pitfalls. 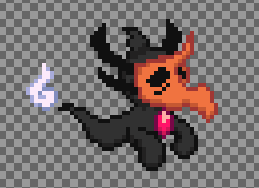 Aside from the story and general game flow, all I've been endlessly staring at and adjusting are the character sprites. Mostly the ponies themselves. Being that the character designs are so important, taking the time now to tweak them and make sure they're unique, beautiful, expressive, and perfect will pay off in the long term. I don't want any of them to be basic or forgettable. I'd like to see fanmade merch of every single one someday. More progress is to come and the placeholders are still under construction. But once they're done, development gets fun again. I make the functionality, then I pretty it up for beta release. Fix the bugs after that, then finally launch. It's not impossibly far away, it's just a long stretch ahead. Just hope my new workout/sleep schedule succeeds in keeping me awake for longer overnight sessions. A few months of crunch is just what needs to happen to get this game out on time.